It is said that when you desire something truly, then the entire universe will find a way to make it happen. So it did for 45 girls from Kalaburagi, Karnataka. 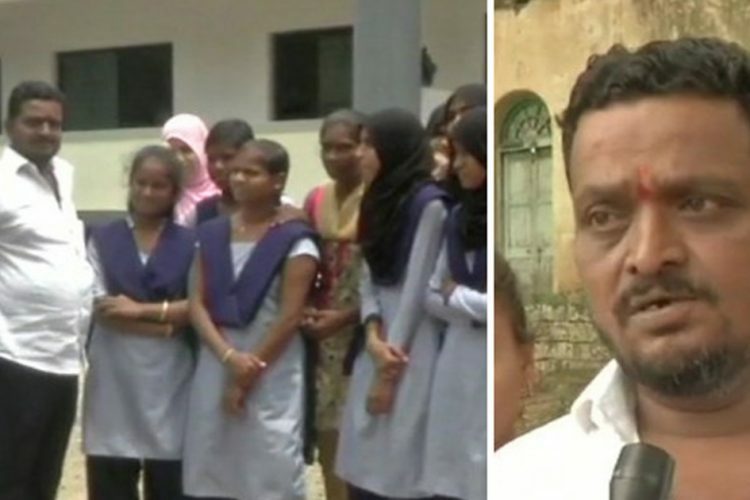 Mr Basavaraj, fondly called ‘God’ by these 45 girls, is paying for their education. Mr Basavaraj works as a clerk at MPHS Govt High School in Kalaburagi’s Maktampura. He is sponsoring the education of 45 children. ANI reported that last year, Basavaraj lost his daughter due to some health issues. As a tribute to Dhaneshwari, his daughter, he started paying for other children’s education in the school. Humbled by his act of kindness, one of the students said, “We belong to poor families and the fees which we can’t pay is paid by our Basavaraj sir in memory of his late daughter. We wish his daughter rests in peace,” said Fathima, one of the girls whose education is being sponsored by Mr Basavaraj. The Logical Indian community appreciates Mr Basavaraj and wishes that her daughter rests in peace. We are sure that she would have been proud of her father’s beautiful way of honouring her memory. Previous There is always an hope to live!